According to O'Sullivan this tune was probably composed toward the end of Carolan's career, because Loftus Jones was a young man the year of Carolan's death. 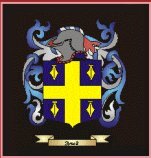 Loftus Jones was the son of Thomas and Susanna Jones of Ardnaglass, County Sligo. He married Jane Henry, the daughter of a rich Dublin banker in 1740. She died in Italy in 1754. Loftus Jones died in 1781. Source: O'Sullivan as reprinted by Celtic Music, 1983 Lincolnshire England.